David Bearman, MD, a Santa Barbara, California physician and surgeon with Wisconsin roots, speaks on "Cannabis and Cannabinoids in 21st Century Medicine: Medical Marijuana in the Clinic". Dr. Bearman is one of the leading physicians in the U.S. in the field of medical marijuana. He has spent 40 years working in substance and drug abuse treatment and prevention programs. 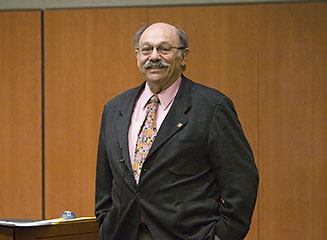 Dr. Bearman was a pioneer in the free and community clinic movement.